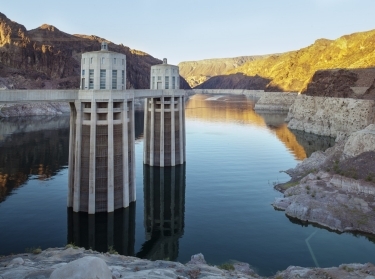 What future conditions threaten the reliability of Colorado River Basin water deliveries? What is the range of plausible future outcomes? What external conditions lead to vulnerable outcomes? How well do portfolios composed of diverse options reduce these vulnerabilities? What are the key tradeoffs in terms of cost and other option attributes? What near-term actions would provide the foundation for a more robust strategy? What external conditions could be monitored to guide the implementation of the robust strategy? Are there additional options that could further increase the robustness of Colorado River management? 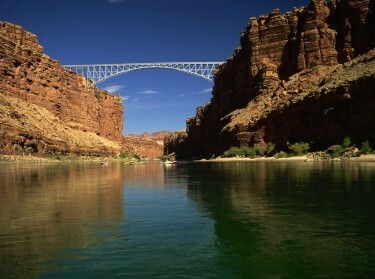 The U.S. Bureau of Reclamation and water management agencies representing the seven Colorado River Basin States initiated the Colorado River Basin Study in January 2010 to evaluate the resiliency of the Colorado River system over the next 50 years and compare different options for ensuring successful management of the river's resources. RAND was asked to join this Basin Study Team in January 2012 to help develop an analytic approach to identify key vulnerabilities in managing the Colorado River basin over the coming decades and to evaluate different options that could reduce this vulnerability. Using a quantitative approach for planning under uncertainty called Robust Decision Making (RDM), the RAND team assisted the Basin Study by: identifying future vulnerable conditions that could lead to imbalances that could cause the basin to be unable to meet its water delivery objectives; developing a computer-based tool to define "portfolios" of management options reflecting different strategies for reducing basin imbalances; evaluating these portfolios across thousands of future scenarios to determine how much they could improve basin outcomes; and analyzing the results from the system simulations to identify key tradeoffs among the portfolios. This report describes RAND's contribution to the Basin Study, focusing on the methodologies used to identify vulnerabilities for Upper Basin and Lower Basin water supply reliability and compare portfolios of options. The report provides a useful resource for other planners wishing to replicate or expand on the methodologies used for other studies. Vulnerable conditions arise in a majority of scenarios where streamflows are lower than historical averages and where drought conditions persist for eight years or more. Depending where the shortages occur, problems will arise for delivery obligations for the upper river basin and the lower river basin. The lower river basin is vulnerable to a broader range of plausible future conditions. If future hydrologic conditions develop in a manner consistent with the more pessimistic current projections, the Basin is increasingly likely to face vulnerable conditions. The region may need to consider additional management options. Different portfolios of water-supply and demand-reduction options offer performance trade-offs. 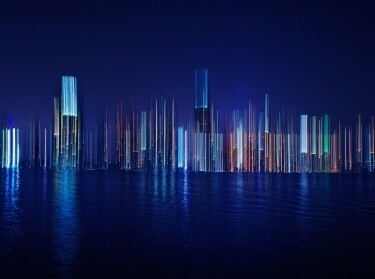 Different types of options in the portfolios, such as conservation, desalination, or water banking, would affect future outcomes and costs of implementation. Analysis of all the portfolios identified important near-term, high-priority options that should be implemented in the near future, including municipal, industrial, and agricultural conservation. Work should begin soon on design and permitting of selected options, because implementation will take time. Systematic and recurring system assessments would enable water managers and users to better understand how conditions are evolving and plan for additional management options accordingly. Identify the key long lead-time options that may be needed and begin to take near-term planning and design steps to ensure their availability. 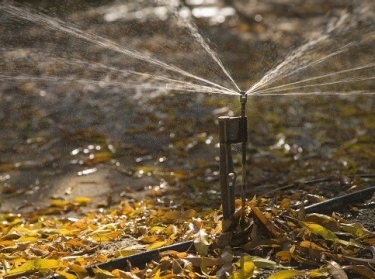 Consider additional approaches for managing future imbalances that would augment supply augmentation and water use conservation. David G. Groves, Jordan R. Fischbach @fischinwater, et al. David G. Groves, Evan Bloom, et al. David G. Groves, Edmundo Molina-Perez, et al. The research described in this report was prepared for the United States Bureau of Reclamation and conducted in the Environment, Energy, and Economic Development Program within RAND Justice, Infrastructure, and Environment. 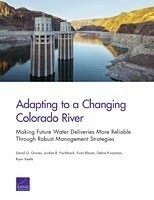 Groves, David G., Jordan R. Fischbach, Evan Bloom, Debra Knopman, and Ryan Keefe, Adapting to a Changing Colorado River: Making Future Water Deliveries More Reliable Through Robust Management Strategies. Santa Monica, CA: RAND Corporation, 2013. https://www.rand.org/pubs/research_reports/RR242.html. Also available in print form.